Mitten has been selected for the competition of FIPADOC / International Documentary Festival in Biarritz. Dalton Distribution, the Belgian distributor of Mitten, is rolling out the film to theatres in Flanders and Brussels at the end of May. The film will be preceded by Het Gerucht: Rosas danst Rosas (1983), a short documentary about the creation process of Rosas danst Rosas, the performance that forced Anne Teresa De Keersmaeker’s international breakthrough and has become a benchmark in the history of postmodern dance. This documentary, directed by Stefaan Decostere for the BRT cultural programme Het Gerucht [The Rumour, ed. 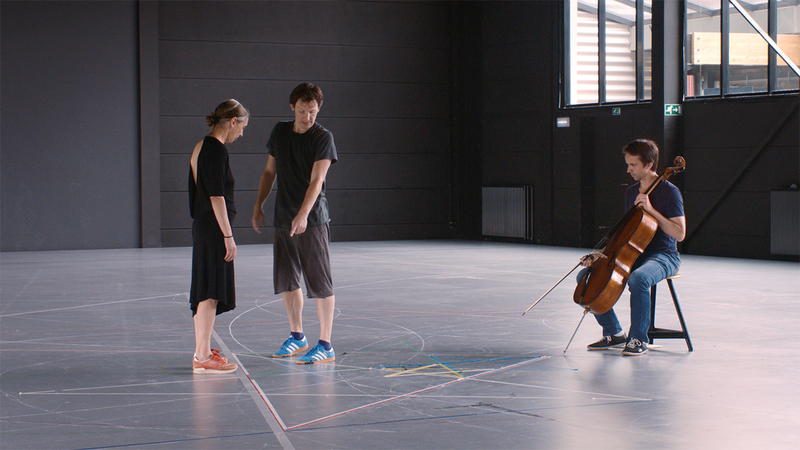 ], uses fragments of rehearsals and interviews with De Keersmaeker and composer Thierry De Mey, offering a glimpse of the choreographic creative process in which repeated abstract movements play a key role. More screening dates will be announced in our agenda.